Print The JBL Bar 5.1 transforms into a wireless home theater system with two detachable wireless speakers, 510W of power, a 10” wireless subwoofer, three 4K HDMI™ inputs and Bluetooth. 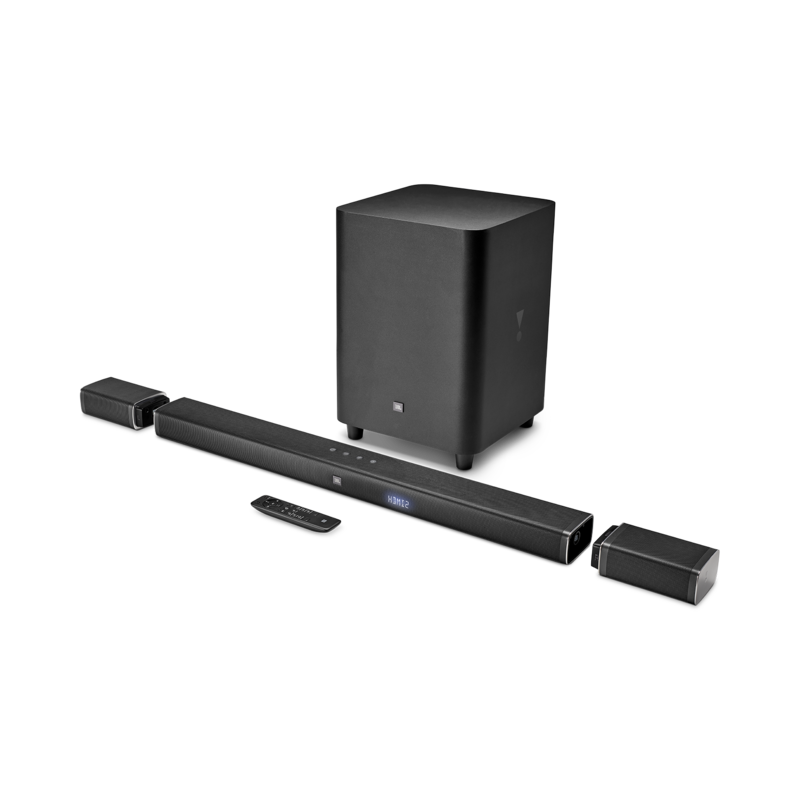 Print The JBL Bar 5.1 transforms from a soundbar into a true wireless 5.1 home theater system for an epic movie and music-listening experience. 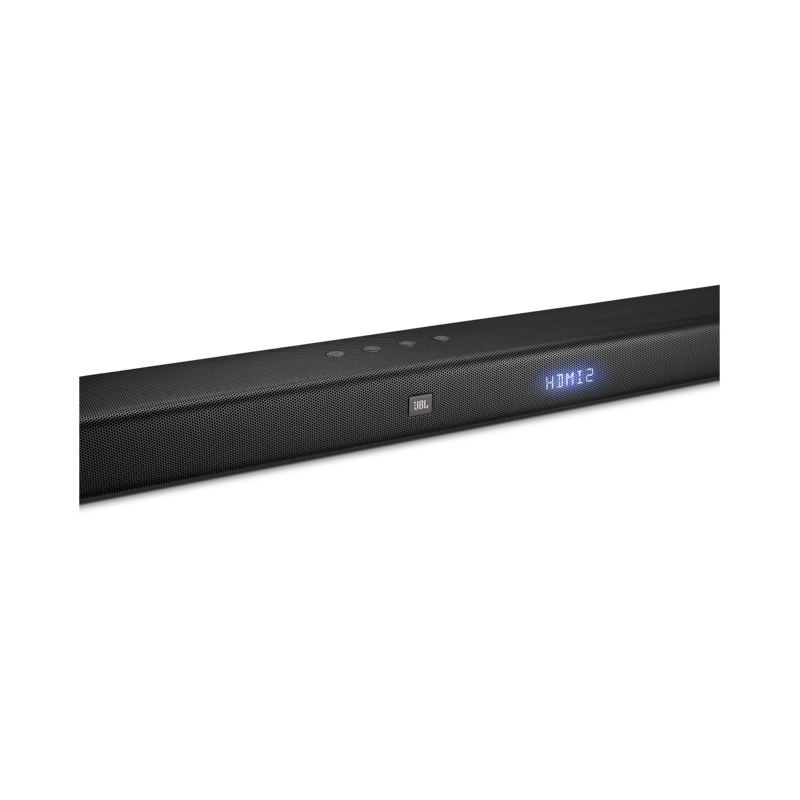 The soundbar features two detachable battery-powered wireless surround speakers with 10-hours of playtime, 510W of total system power, a 10” wireless subwoofer, three HDMI™ inputs to connect 4K devices and Bluetooth™. With Dolby® Digital, Dolby Pro Logic II and DTS, your movies, music and video games will never sound more incredible. 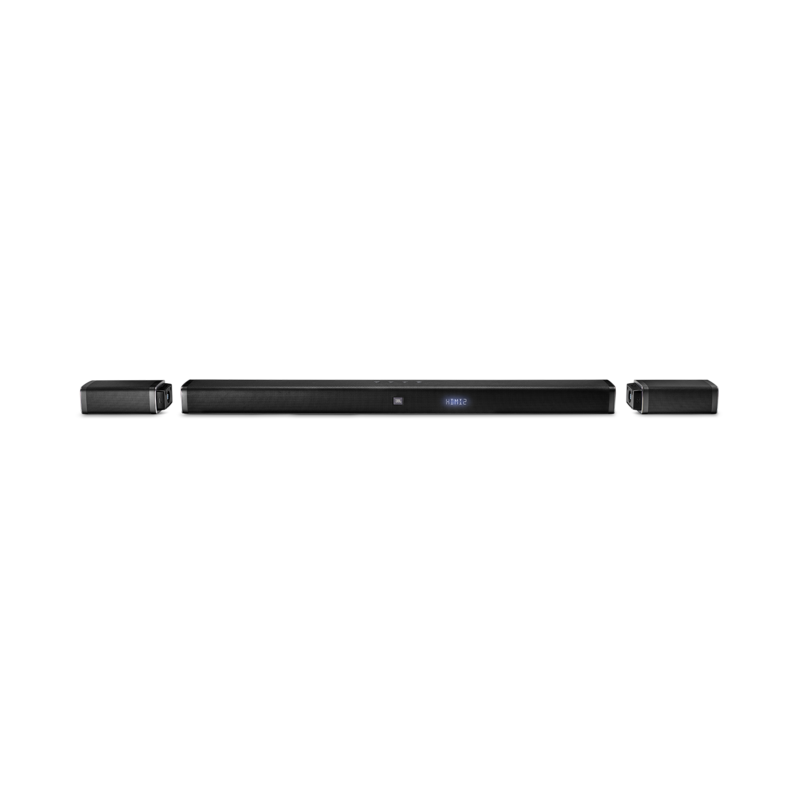 The soundbar features JBL SoundShift®, which allows you to instantly switch between the sound from your TV and the Bluetooth sound from your mobile phone or tablet. 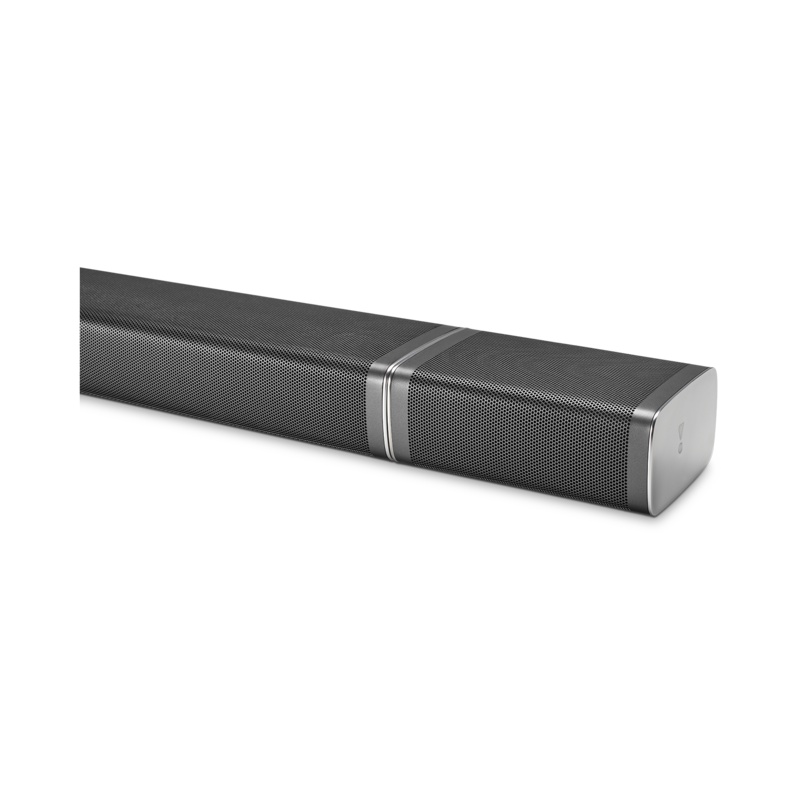 The soundbar is programmed to respond to your TV remote, so you can control everything with your existing TV remote control. 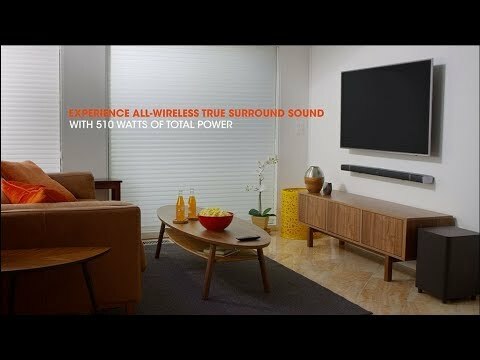 The JBL Bar 5.1 re-defines the soundbar experience. 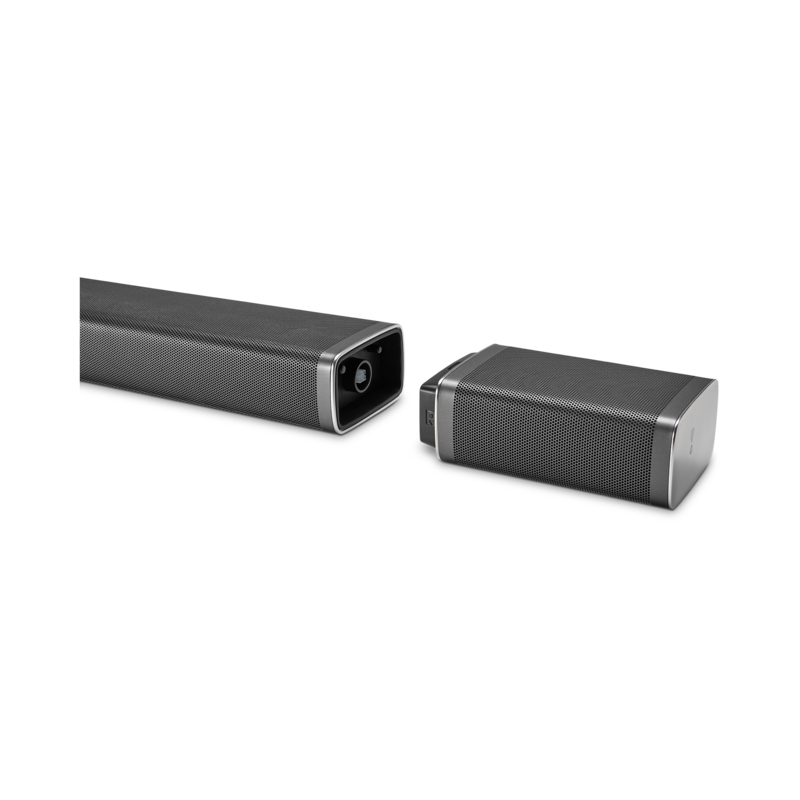 Ensures a high-quality audio performance for your movies and music. 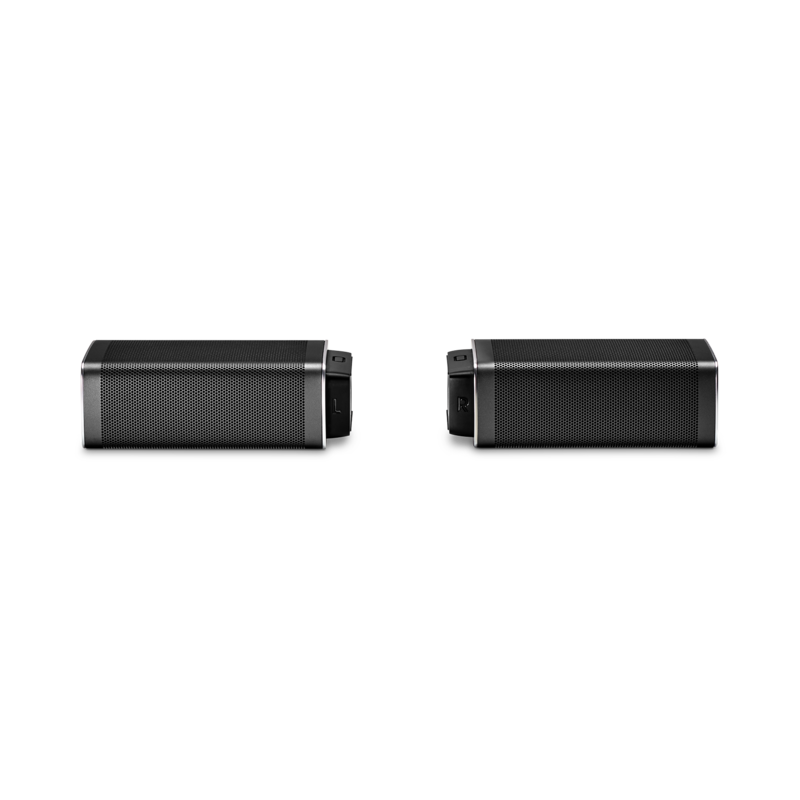 Enjoy true wireless surround sound in cinematic 5.1 with 10 hours of playing time. Enjoy rich and thrilling bass with the convenience of flexible placement without the hassle of wires. Easily connect all your 4K devices and upgrade your home entertainment to Ultra HD. Stream all of your music wirelessly from any mobile device. 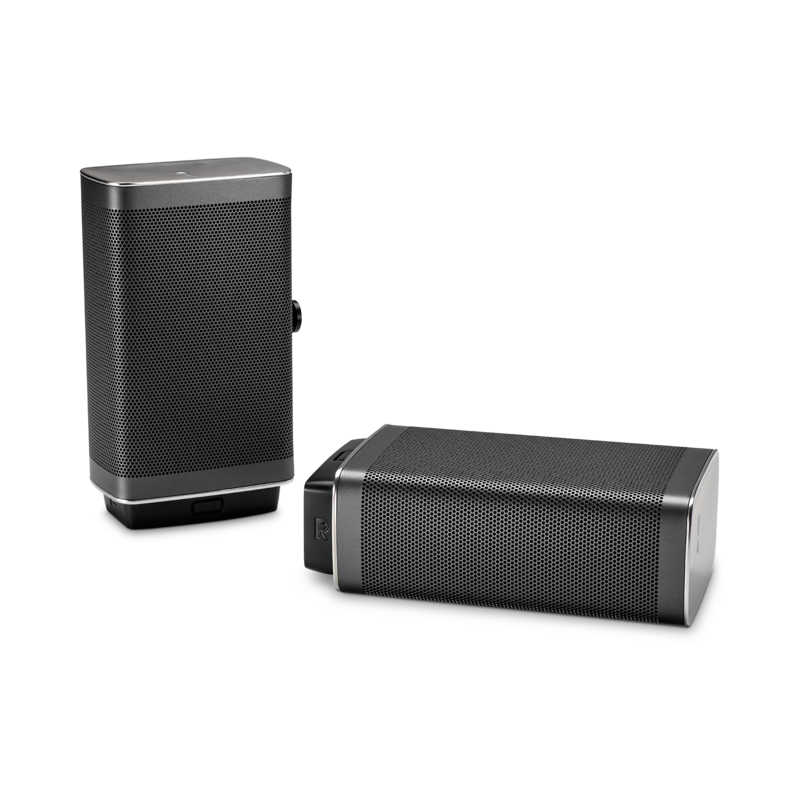 Allows you to instantly switch between sound from your TV and sound from your phone or tablet. 1148 x 58 x 93 (mm)\ 45" x 2.3" x 3.7"
440 x 305 x 305 (mm) \ 16" x 12" x 12"
165 x 59 x 93 (mm)\ 6.5" x 2.3" x 3.7"